Surf and Sand Safaris offer an excellent way to see the local area with a half day tour of the famous coloured sands, Double Island Point Lighthouse and our very own local Rainforest, which is unique and virtually unknown. Surf and Sand Safaris are the only tour operator with access to the Double Island Point Lighthouse and can actually drive all the way to the top to take in the spectacular 360 degree views. Epic Ocean Adventures have all of you water adventures covered from Ocean Kayaking with dolphins to learning to surf. 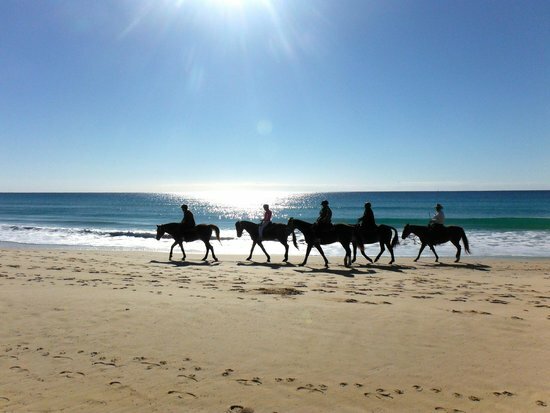 Rainbow Beach Horse Rides accommodate riders from the beginner to the experienced. There are various types of rides you can enjoy, a very popular one being a beach ride along our beautiful town beach. 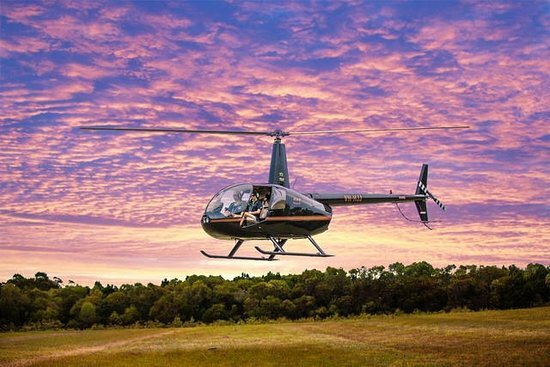 Rainbow Beach Helicopters offer scenic flights taking in spectacular views from Tin Can Bay, Fraser Island and Double Island Point. They can even do private charters if requested. There are several operators that depart daily from Rainbow Beach on a fully guided tour to the World Heritage listed Fraser Island for a day you will never forget. This is a place where rainforest grows completely in sand, giant sand blows swallow ancient forests, dingoes and native animals roam free, fresh water lakes perch high in golden sand dunes. Fraser Island is the largest sand island in the world and truly is a unique place to visit. Experience Rainbow Beach, immerse yourself in the best food the area has to offer! Explore the cafés around Rainbow Beach and why not make some new friends while you’re at it. Hire your own 4WD and discover Rainbow Beach and Fraser Island. Plan your own trip and travel all the way to Indian Head on Fraser Island or take a short drive to Double Island Point and spend the day soaking up some sunshine and salt water.